How to choose your wedding hotel ? Many people ask us this famous question! 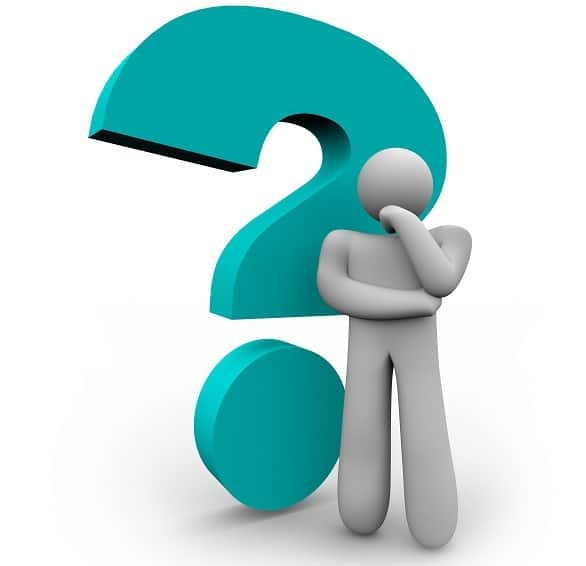 There is no precise answer because each of the couples we meet has different needs and criteria. All have a small idea of their dream wedding. We are here to guide you to make the right choice that will meet your expectations … Which may seem difficult and arduous for some. 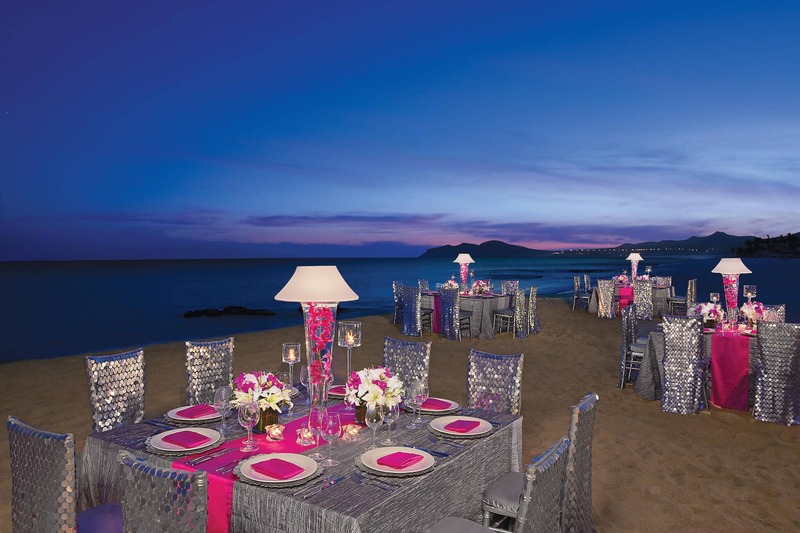 First, the ideal is to choose a destination wedding specialist for your dream day. so contact the Quebec wedding travel agency. Why, because the Destination Marriage Specialist will ask you specific questions such as: Date of wedding or departure date, type of hotel sought, how do you see your wedding day, would you like a dinner of private wedding with DJ, the approximate budget for the trip, the number of days, the wedding budget ect … In short, several questions that seem rather banal, but which will guide your travel consultant to the good hotels .. The agent will be able to offer suggestions based on your criteria. 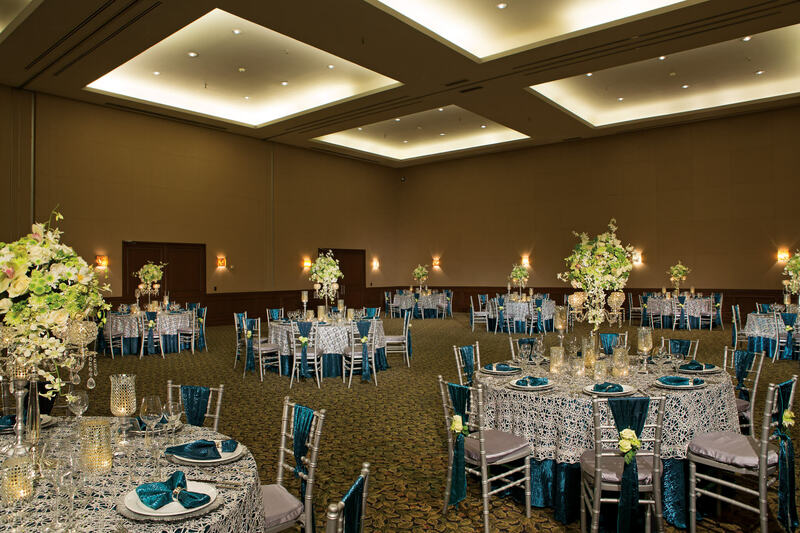 We strongly suggest a meeting to discuss your expectations for your wedding. If this is not possible for you, we offer other options such as videoconferencing or by phone and email. Your travel advisor will absolutely take care of all aspects of your trip, from your guests to organizing your wedding destination. You can visit the steps section (Checklist of a successful sun wedding). YOU DO NOT KNOW WHERE TO START? CONTACT SOUTH WEDDING! is a luxurious family hotel, perfect for a dream wedding. 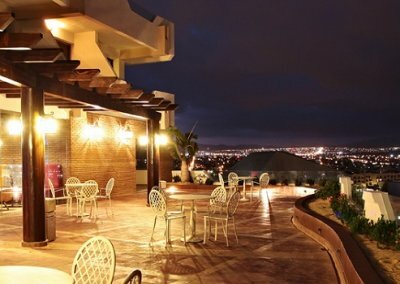 This hotel is part of the Karisma hotel chain, winner of several awards such as the choice of travelers by Trip Advisor and the price of 4 diamonds, Triple A (AAA). You will understand that it is a gourmet hotel, you can even find in some restaurants the possibility of having a met and wine agreement. Your taste buds will be filled! This complex is full of nice surprises. I spent 4 months in South East Asia and I can guarantee you that at Kho Thai restaurant you will eat one of the best Caribbean curry chicken! La Cantina is a truly charming, typically Mexican small bar where you can enjoy homemade cocktails made with love at the base of quality tequila. This is a very interesting hotel for weddings, several ceremonial venues are available including the gazebo in the garden, the Sky Deck, the Sea Pier, the very original Waterfront Gazebo and of course The Beach. Imagine at sunset with your guests on the Sky Deck, only beautiful memories and beautiful photos. 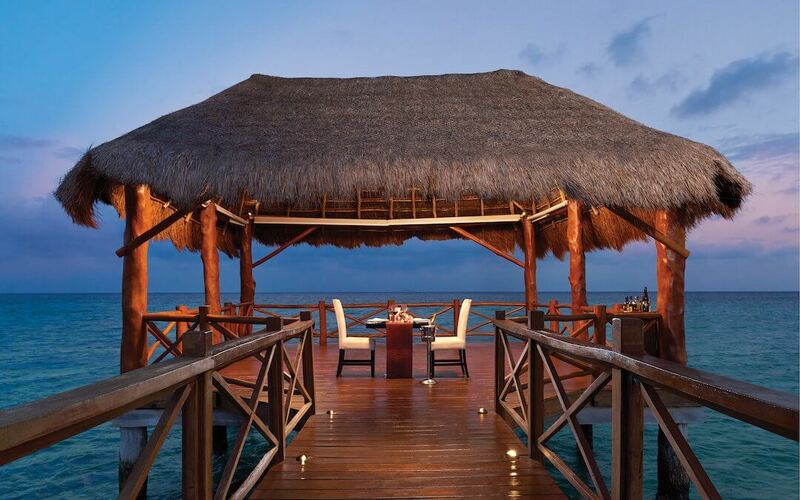 Ideal for a honeymoon, you can enjoy a romantic dinner alone with your tender half directly under the gazebo in the middle of the water (Sea pier). And to celebrate your wedding with your family! This hotel is exceptional for traveling with young children. 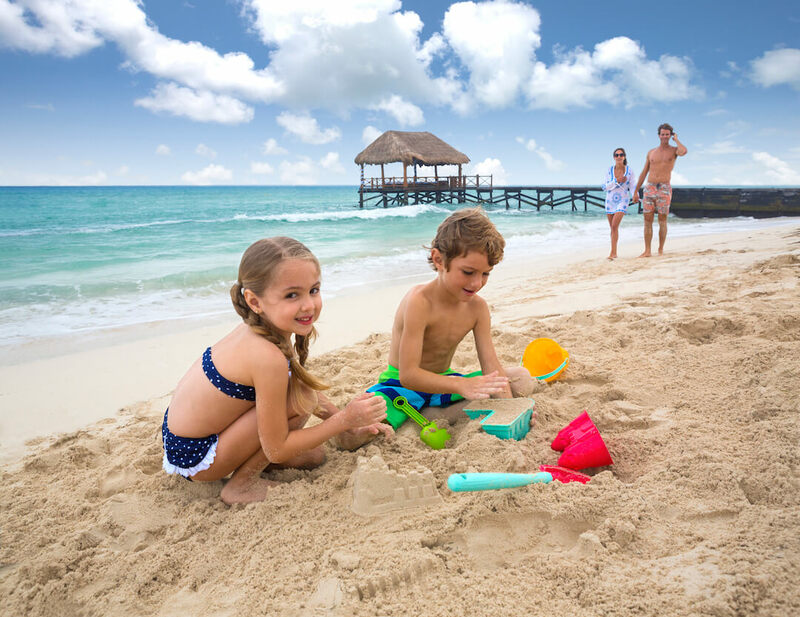 You will have many facilities on site to facilitate and enhance your stay with your little one. The hotel puts at your disposal; Strollers, Bottle Sterilizers, Baby Bottle Warmers, Baby Baths, Baby Changing Tables, Bathrobes, Baby Monitors, Gerber Baby Food is available in all restaurants and room service. This is not fantastic, it will make your luggage lighter and you will not have the stress of forgetting something important for your baby. 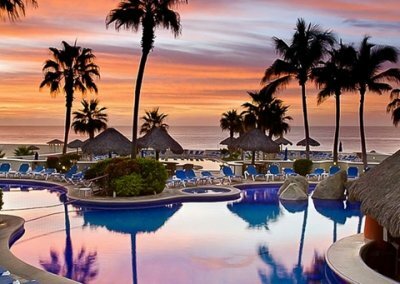 You will find on the site a large central pool facing the sea with a bar, for a more lively atmosphere and a magnificent view. What I find interesting is that the rooms are divided into several small villas with 3 floors, it does not distort the landscape. The rooms are luxurious and beautiful, very relaxing with their modern decor. The central plaza is very interesting because it offers you the majority of restaurants and bars in one place in addition to being pretty. It is a perfect hotel for all types of voyeurs whether in group, for a wedding, with family or in love. Everyone will find his account! For more information or to book your wedding at this fabulous wedding hotel, contact us! Our are the Karisma Travel Agency in Quebec! Mais à quoi sert un “Cocktail hour” privé? Le “Cocktail hour” sert de tremplin entre la fin de votre cérémonie et le souper (privé ou pas). Les invités seront pris en charge par des serveurs, dès le moment du cocktail, leurs offrant boissons et canapés tout en discutant de votre cérémonie. Vous, les mariés, serez fort probablement en train de prendre des photos avec le photographe. Cela permet donc de ne pas laisser de temps mort aux gens. Les lieux pour un “Cocktail” sont généralement au lieu de la cérémonie, mais peut être aussi établi à un autre lieu au besoin. À quoi sert un souper privé? Le souper privé permet de rendre votre souper intime et unique. Il existe plusieurs lieux différents, par exemple: La plage, une terrasse, une salle de bal, les jardins et la possibilité de louer un restaurant à la carte au complet. Le souper privé durent environ 3 heures et peut être extensionné selon vos besoins. Une réception extérieure peut rarement se terminer plus tard que 10:30-11:00. Si vous désirez continuer, il faudra le faire dans une salle de bal. Quel est la différence entre un souper privé et semi-privé? C’est très simple, l’un est complètement privé dans un lieu de votre choix. L’autre est dans un restaurant à la carte parmis les autres clients de l’hôtel. Les soupers de mariage dans les restaurants à la carte ne vous permettent pas de mettre de la musique et cela dure entre 1h30 et 2h. Votre groupe sera mit à l’écart dans le restaurant pour un peu d’intimité et vous aurez un menu à choisir pour votre groupe. Le restaurant à la carte est inclus dans les forfaits mariage de base ou dans les forfaits payant. C’est la formule la plus répandue et la moins coûteuse. Par contre, dépendamment de la grosseur de votre groupe, il se peut que le souper privé vous soit exigé. À quoi sert un party privé? (Cocktail et réception) Le party privé sert à vous faire économiser de l’argent. De quel façon? Comme un souper privé peut coûter très cher si vous êtes un gros groupe, parfois prendre le souper semi-privé dans un restaurant à la carte et investir dans un party de 2 à 3 heures après le souper est moins dispendieux et tout aussi intime. Vous pouvez rendre à votre façon, votre “Party” privé unique et amusant. Looking for something different? Something that will make you feel really different? 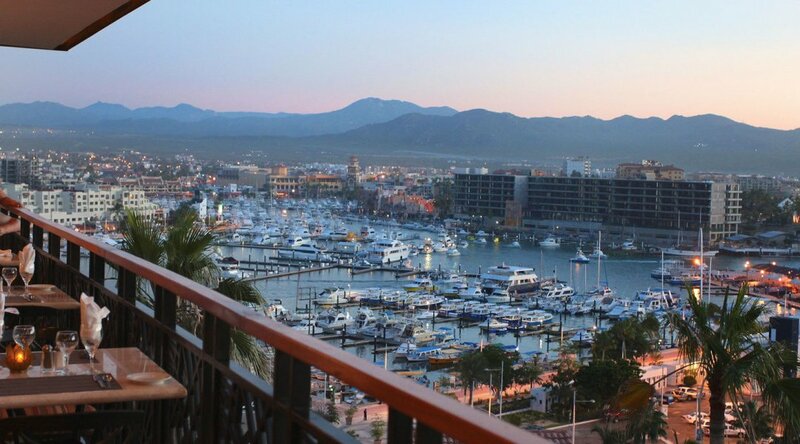 Too often we forget this destination: Los Cabos. Located completely at the tip of the Californian Bay, Mexico. A destination worth a visit! 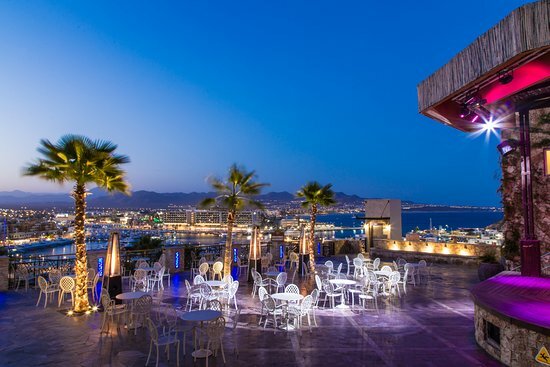 One of the best-rated and certainly the most exotic hotels in the region, the Sandos Finisterra offers you elegance and concern for the environment. This Spanish hotel chain puts a lot of emphasis on glass recycling and the environment. You will notice that the hotel does not offer a bottle of water. But be assured, the rooms offer huge water tanks for its guests. 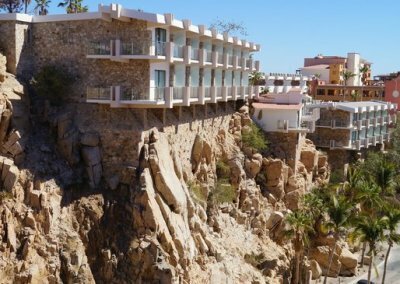 The highest terrace of the complex allows you to see, both the Sea of ​​Cortez, the Atlantic Ocean and the desert of the “Californian Baja”. Gorgeous! 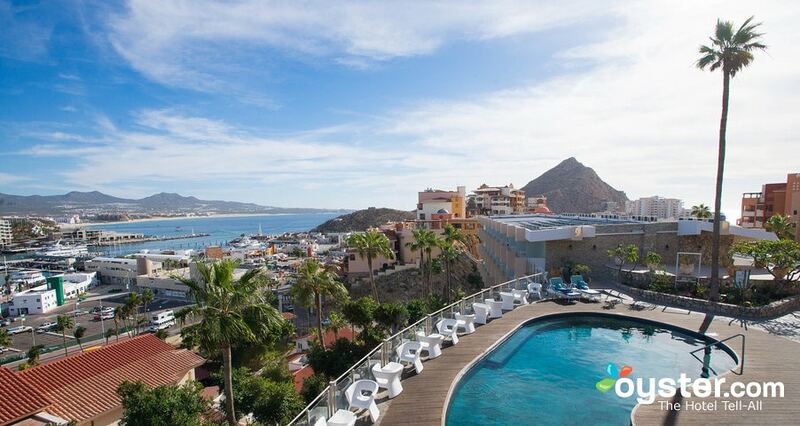 Sandos Finisterra is exotic, picturesque and refined. 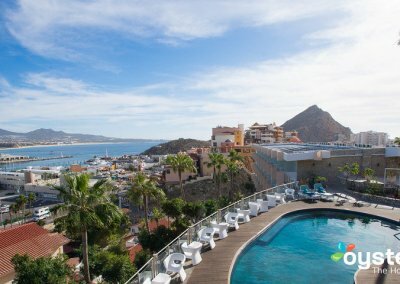 This hotel is located directly in the mountains of Cabo San Lucas a few meters from the Marina and its bustling city center. As soon as you arrive at the hotel, you will be charmed by the decor and the courteous staff. 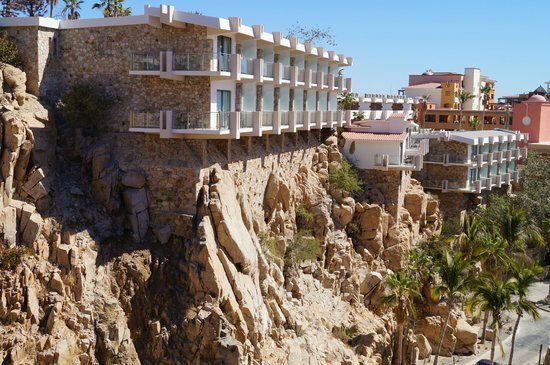 Although the hotel is perched in stone, walking is not too long between the beach and restaurants. Sandos offers its customers some really succulent restaurants and a small “Cupcake cafe” where iced coffees and cupcakes are to roll on the floor. A great place for your wedding photos. 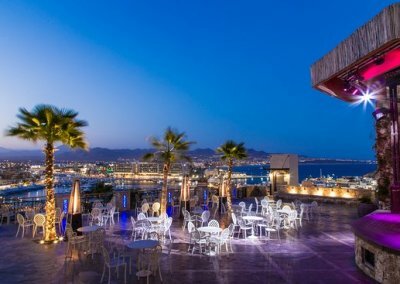 Whether in front of the waterfall or on the authentic terrace overlooking the magnificent view of the marina, your photos will be jealous. 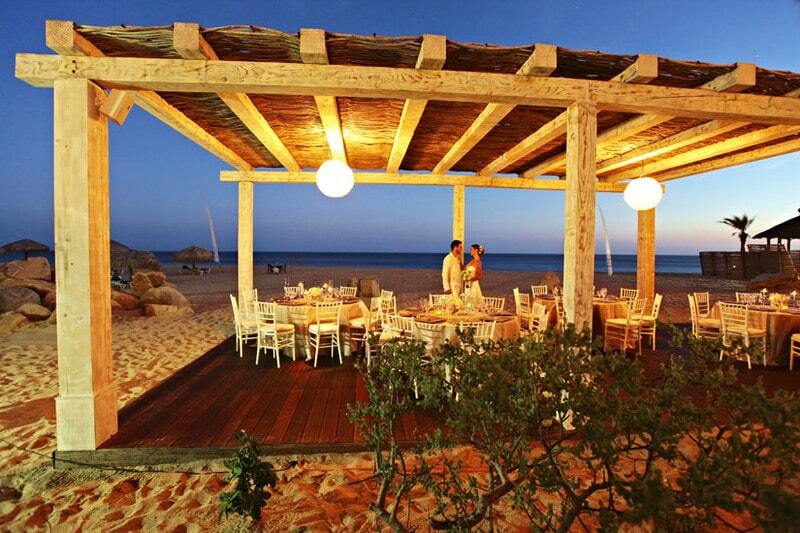 To vote wedding at Sandos Finisterra will be magnificent! 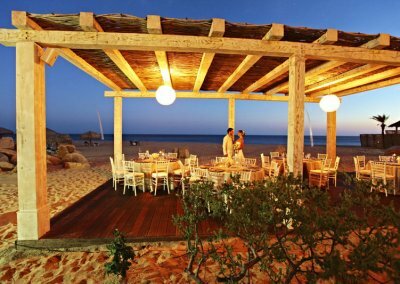 A complex that appeals to all and is great for a honeymoon where you will find calm and romance. 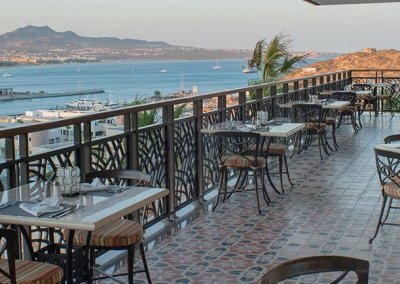 Sandos offers a whale watching terrace during the period from January to March. A superb view of the Atlantic Ocean. Let yourself be tempted by this hotel, it is charming and has a decor out of the ordinary. 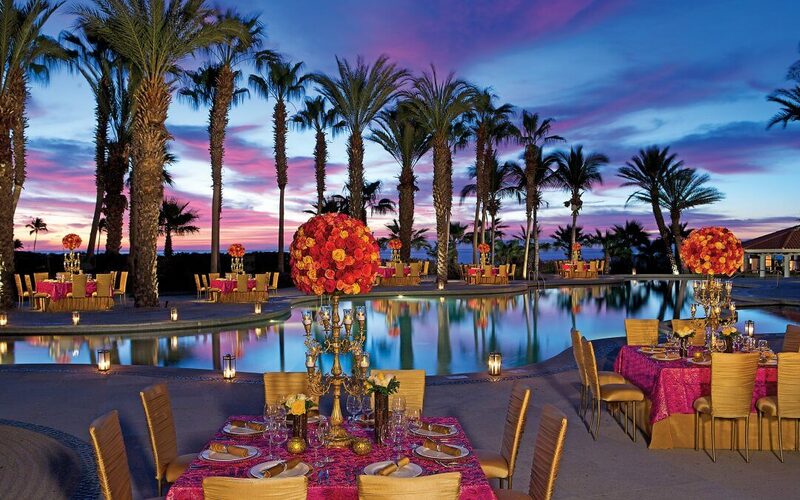 We recommend this resort to celebrate your wedding. 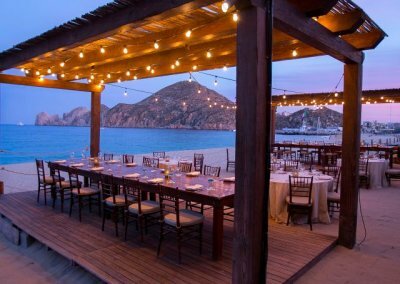 The Sandos hotel chain won in 2017 (the best hotel chain in Mexico to celebrate a wedding). 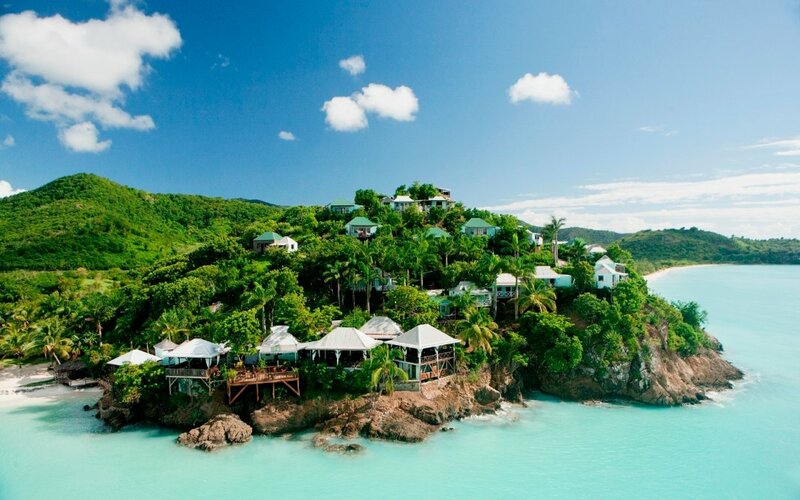 Want to celebrate your honeymoon at this fabulous resort? 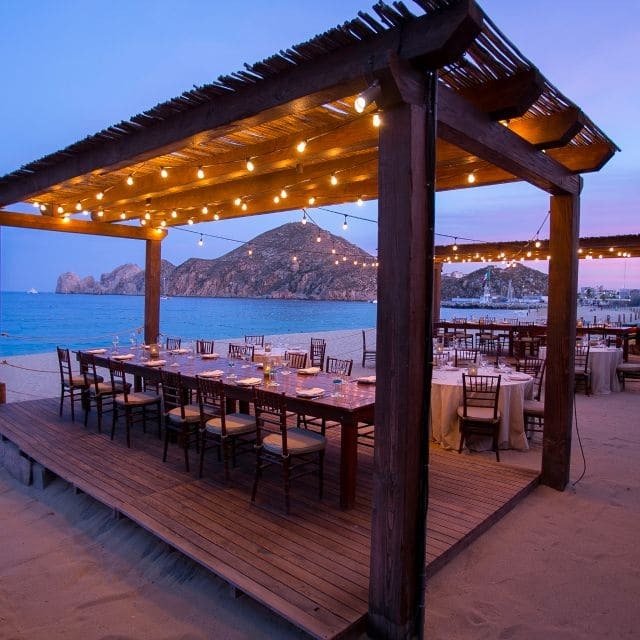 Los Cabos and Sandos Finisterra will offer you a unique experience. 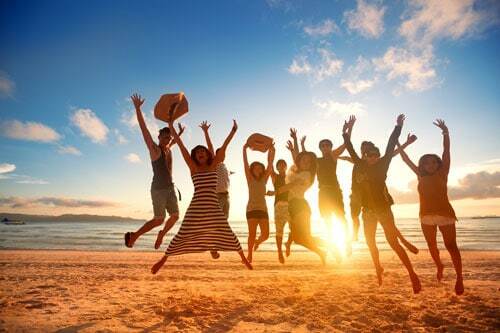 Our travel agency specializes in group travel planning. Our travel counselors crisscross the Caribbean and West Indies to be constantly on the lookout for new products offered by hoteliers. A group travel project shortly? Let us submit a free quote, Best Guaranteed Group Rate with Group Travel Package Discount and Discount Wedding.